Tomorrow marks 38 weeks and a big part of me didn’t expect to make it this far. I can, however, say that I feel as prepared as I could. There’s a few meals in the freezer. Every article of clothing is clean. Nursing items have been purchased. Baby items are in place and ready. The bag is mostly packed. The house is mostly clean. I’ve gone through all of her clothes and made donate bags, give to people we know bags, and to sell bags. We’ve had some special QT with Garner, including ice cream, Cars 2, and presents purchased for her. I told JD tonight that I could go into labor tonight and feel pretty good about where things stand. I have a few things hanging out there at work that could be finished next week or the week after. It wouldn’t be the end of the world if they didn’t get done next week. One really really big one is the new shade of lipstick. That might sound ridiculous to some. It might be a non-necessity to others. It might be a luxury to many – but a good lipstick and liner is critical in my world. I can go without a single stitch of make-up and throw on some lipstick and feel great. Without it I feel like I look sick, or frumpy. So, trying a new lipstick color is a big deal. Sure I’ve thrown in 5 or 6 other colors and some lip glosses here and there over the last 10 years but my stand-by, go-to, always makes me feel good was the MAC combo. I have Ashley to thank for that. I’ll probably revert to it at times, as my new color is a little shocking still. It’s brighter than I’ve worn in years but I love it. 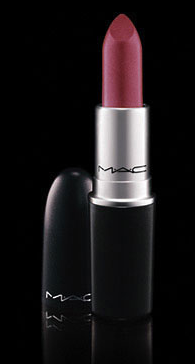 I was at the MAC counter trying on colors this after when Garner and JD walked up. They didn’t have to say anything, although both did, to let me know the shade of red I had on was NOT the right one. And you can take it as dark and “party girl” as you want…or keep it light for a nice daytime look. It will definitely look better with some eyeliner and mascara. I really can’t believe I went to MAC counter with no makeup on. The next post will most likely be about Graham’s arrival. 🙂 I’m a little anxious, a little nervous, and oh so excited to meet this little guy that has moved and kicked and flopped like a fish for the last 6 months. We love him so much already and all those sleepless nights and exhaustion will be worth it. I’m thankful to have a bit of a clue this time. And to be closer to friends. And to have a sweet little girl who is ready to help. And to have a husband who goes above and beyond all that I could ever ask or imagine. Thank you, Lord for our many, many blessings. Good for you!!! I know you are ready for Graham to make his appearance!!! Can’t wait!! !